On the eve of September 11, 2001, New York City's famous National Guard regiment, the fighting 69th Infantry, was not fit for duty. Most of its soldiers were immigrant kids with no prior military experience, their uniforms were incomplete, and their equipment was derelict. The thought of deploying such a unit was laughable. 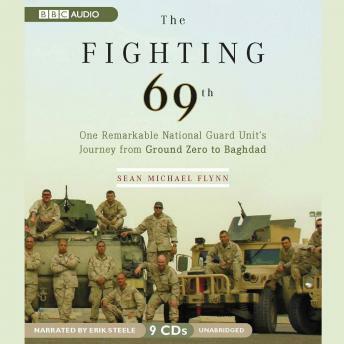 Sean Flynn, himself a member of the 69th, memorably chronicles the transformation of this motley band of amateur soldiers into a battle-hardened troop at work in one of the most lethal quarters of Baghdad: the notorious Airport Road, a blood-soaked strand that grabbed headlines and became a bellwether for progress in post-invasion Iraq. At home on the concrete and asphalt like no other unit in the US Army, Gotham's Fighting 69th brought justice to this lawless precinct by ignoring army discipline and turning to the street-fighting tactics they grew up with. The Fighting 69th is the story of how regular citizens come to grips with challenges far starker than what they have been prepared for-a candid look at who our soldiers are, and what they do when faced with their toughest challenges.